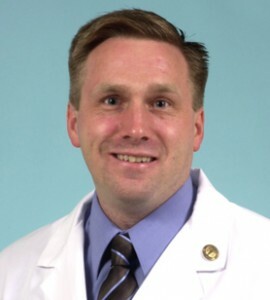 Dr. Carpenter is the Director of EBM for the Division of EM Medicine at Washington University in St. Louis. He is the Chair of the SAEM EBM Interest Group and ACEP Geriatric Section. He is Associate Editor of Academic Emergency Medicine, as well as Associate Editor of Annals of Internal Medicine’s ACP Journal Club. He co-authored the textbook “Evidence-Based Emergency Care: Diagnostic Testing and Clinical Decision Rules, 2nd Edition”. Dr. Carpenter lives in St. Louis Missouri with his wife, two children, and wonder-dog and is an avid St. Louis Cardinals fan. He serves as Deputy Editor-in-Chief of Academic Emergency Medicine, Associate Editor of the Journal of the American Geriatrics Society, and on the Editorial Boards of Missouri Medicine and Annals of Internal Medicine’s ACP Journal Club. He is the Chair of the Schwartz-Reisman International Advisory Board and serves on the ACEP Clinical Policy Committee. He has no funding from the pharmaceutical or biomedical device industry, nor does he partake in medical malpractice reviews. He holds no patents or stocks in pharmaceutical/biomedical companies or products.